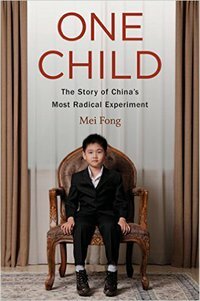 An intimate investigation of the world’s largest experiment in social engineering, revealing how its effects will shape China for decades to come, and what that means for the rest of the world. When Communist Party leaders adopted the one-child policy in 1980, they hoped curbing birth-rates would help lift China’s poorest and increase the country’s global stature. But at what cost? Now, as China closes the book on the policy after more than three decades, it faces a population grown too old and too male, with a vastly diminished supply of young workers. Mei Fong has spent years documenting the policy’s repercussions on every sector of Chinese society. In One Child, she explores its true human impact, traveling across China to meet the people who live with its consequences. Their stories reveal a dystopian reality: unauthorized second children ignored by the state, only-children supporting aging parents and grandparents on their own, villages teeming with ineligible bachelors, and an ungoverned adoption market stretching across the globe. Fong tackles questions that have major implications for China’s future: whether its “Little Emperor” cohort will make for an entitled or risk-averse generation; how China will manage to support itself when one in every four people is over sixty-five years old; and above all, how much the one-child policy may end up hindering China’s growth. Weaving in Fong’s reflections on striving to become a mother herself, One Child offers a nuanced and candid report from the extremes of family planning.